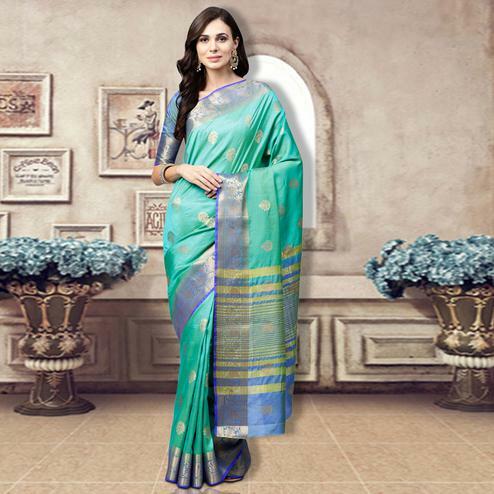 Envelop yourself with eternal adulation with this breathtaking green colored saree. 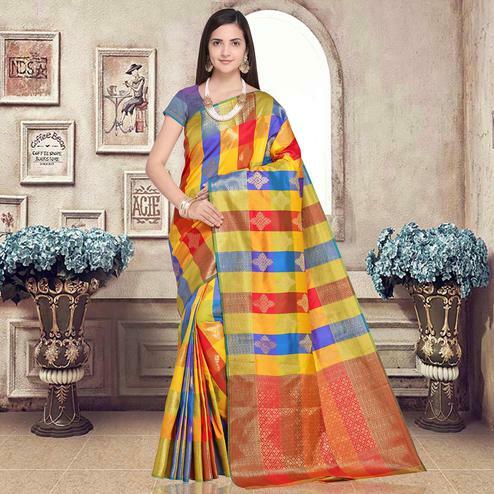 This saree is crafted on silk blend fabric and beautified with lovely woven work. 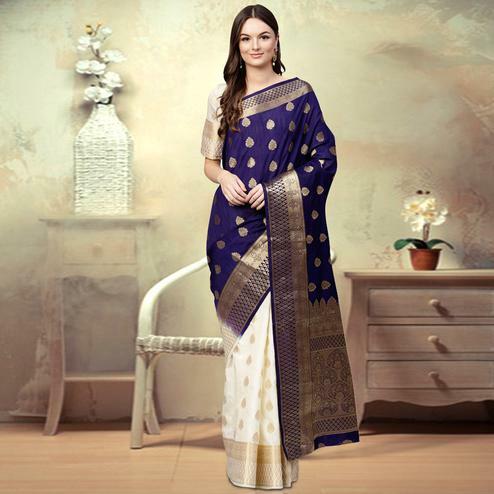 Saree paired with unstitched silk blend fabric blouse piece which can be stitched as per your requirement. 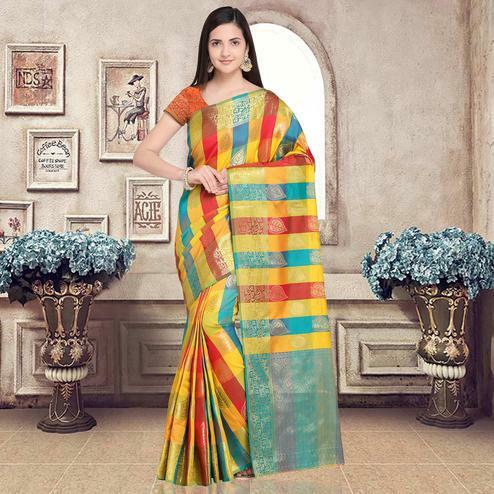 This saree would surely attract you showers of compliments when you wear it for parties, events or festivals, where you want to be center of attraction. 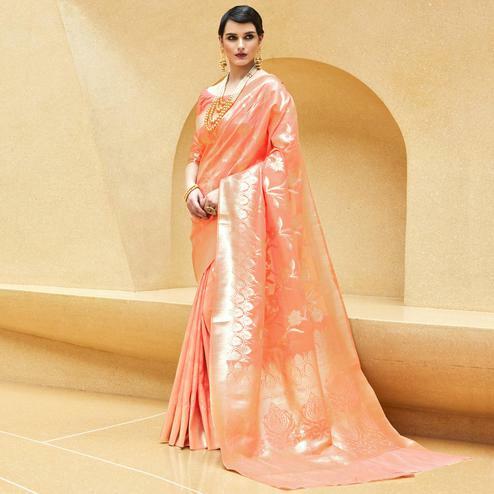 Pair it with traditional accessories to make the look more outstanding.